Nevsun extends life of its flagship copper-zinc Bisha mine in Eritrea to the end of 2022. 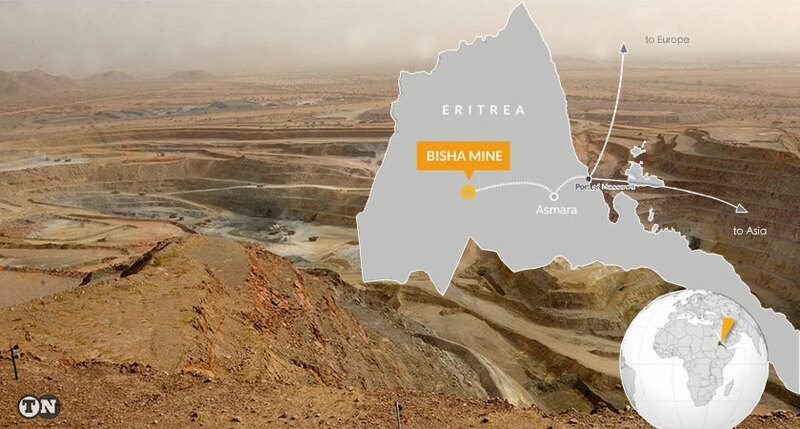 Canada’s Nevsun Resources (TSX, NYSEMKT:NSU), together with its Eritrean partner ENAMCO, has approved an extension to the life of its flagship copper-zinc Bisha mine in Eritrea to the end of 2022 — 18 months later than the planned end of operations announced by the company last year. The open-pit extension adds 3.3 million tonnes of high-grade ore to the mill and extends operations through the full year 2022, resulting in an additional payable production of 470 million pounds of zinc and 52 millions pounds of copper over this time frame. In addition to incremental production and revenue, the extension provides time for Bisha to advance assessment of the Asheli and Harena underground deposits and to consider further open-pit extensions. In August 2017, Nevsun decided to reduce the mine life at Bisha by half due to the operational risk of the original large open-pit cut-back. Since that time, Bisha has increased mining rates and significantly improved metallurgical performance, while metal prices have remained strong, leading the Company to re-visit the larger cut-back option. The open-pit extension accesses a portion of the previously envisaged cut back with an additional 3.3 million tonnes of ore over the existing reserve and assumed recoveries of 70% for copper to copper concentrate and 80% for zinc to zinc concentrate. Several million tonnes of additional high-grade resource in the original pit design could also potentially be brought back into the mine life. The Company expects to assess investment in an additional cut-back to access this resource in late 2019. Approval will depend on performance in delivering the cost targets and increased mining rates for the extension announced today.